Let's take a look at the Royal Caribbean's Casino Rewards Program, Club Royale. This exclusive membership allows players to enjoy promotions within the casino while on board RCCL and attend Club Royale member's only events and, based off your casino play, you could win another cruise vacation! Club Royale Membership is free and is only available to ages 18+. Now let's move on to the fun stuff.. What benefits you earn with Club Royale! Members use their SeaPass Card in the casino to earn points and redeem incredible prizes through the Casino Reward's Program. 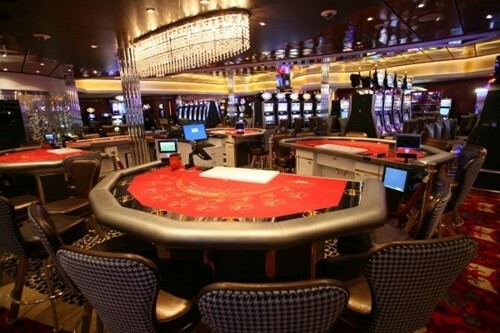 Benefits are based off of a member's play in a Royal Caribbean Casino on board the ship. In order to record points and tier credits correctly, each member is responsible for inserting their SeaPass card into a slot machine or presenting their SeaPass Card to a table game pit supervisor before playing (Put the card on the table with your cash when getting chips and a pit boss will track your play). Remember, Club Royale points and tier credits can not be earned from free play. A Club Royale Program year begins April 1st and ends March 31st the following year. Royal Caribbean Tier credits are used to determine a member's tier status within a program year. At the end of a program year, the credits reset to zero. If you earn an annual cruise certificate, it must be booked by March 31st. Club Royale points may only be redeemed towards Account Credit or free play on the same sailing which they were earned. Points cannot be redeemed on future sailings. Now lets answer how many points it takes to get a free cruise with Royal Caribbean...2,500 points- 24,999 points will earn you a complimentary inside cabin. 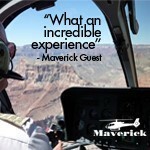 25,000-99,999 points will earn you a complimentary balcony cabin. 100,000 or more points will earn you a complimentary Grand Suite. The following Royal Caribbean tier statuses are listed below along with their benefits and how many points it takes to earn those benefits. Choice (1- 2,499 points)- Choice level with Club Royale earns you Folio Credit or Free Play in the Casino, instant cruise rewards certificate, exclusive casino offers, and access to Club Royale VIP events. What about discounted Royal Caribbean Cruise Certificates that can be received on board? Prime (2,500- 24,999 points)- Prime level with Club Royale earns you Folio Credit or Free Play in the Casino, instant cruise rewards certificate, waived casino convenience fee (5%) for gaming on SeaPass or Credit Card, complimentary drinks in Casino Royale, discount unlimited surf and stream internet Wifi packages, exclusive casino offers, access to Club Royale VIP events, tier priority contact number, tier exclusive rates for family and friends for additional staterooms, special offers with land based casinos, and an annual complimentary cruise- Inside Cabin! 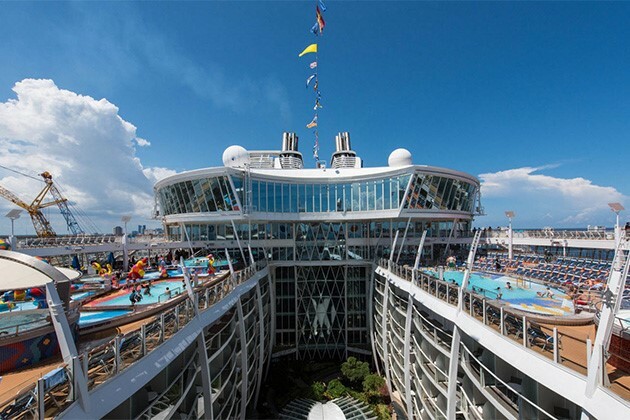 What about Royal Caribbean Complimentary Cruise Certificates that can be received on board? Signature (25,000- 99,999 points)- Signature level with Club Royale earns you Folio Credit or as Free Play in the Casino, instant cruise rewards certificate, waived casino convenience fee (5%) for gaming on SeaPass or Credit Card, complimentary drinks in Casino Royale, comp unlimited surf and stream internet Wifi package (1 device), priority check in, exclusive casino offers, access to Club Royale VIP events, tier priority contact number, tier exclusive rates for family and friends for additional staterooms, special offers with land based casinos, and an annual complimentary cruise- Balcony Cabin! Masters (100,000+ points)- Masters level with Club Royale earns you Folio Credit or Free Play in the Casino, instant cruise rewards certificate, waived casino convenience fee (5%) for gaming on SeaPass or Credit Card, complimentary drinks in Casino Royale, comp unlimited surf and stream internet Wifi package (2 devices), priority check in, priority entertainment seating and dining reservations, suite lounge and dining access, exclusive casino offers, access to Club Royale VIP events, tier priority contact number, tier exclusive rates for family and friends for additional staterooms, special offers with land based casinos, annual complimentary cruise- and an annual complimentary cruise- Grand Suite! Note: Members may use Casino Credit which allows them to establish a line of credit prior to the sailing for access to gaming funds while on board. 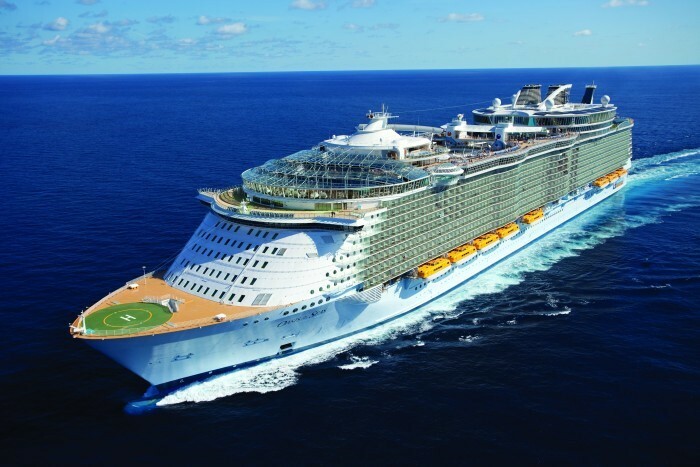 Want to get more complimentary cruises with Royal Caribbean and other cruise lines? URComped provides new offers to qualified casino players! It's free to sign up. Upload images of previous offers from land based casinos or cruise lines to your profile and start receiving NEW offers... Read More. 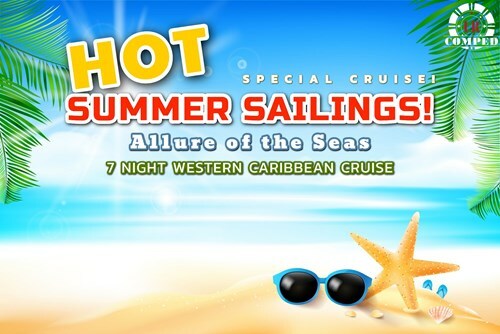 Hot Summer Special Sailing on Allure of the Seas! Enjoy heavily discounted fare to complimentary stateroom and cruise to the Western Caribbean! 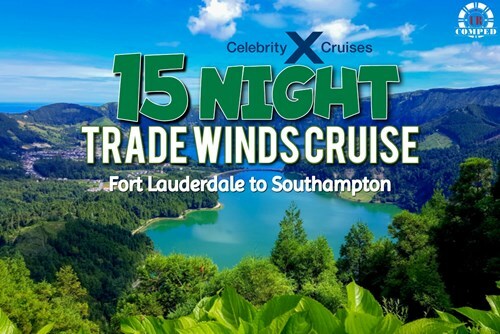 15 Night Trade Winds Transatlantic Cruise! Cruise to the best of Transatlantic leaving from Fort Lauderdale on this 15 Night Transatlantic Cruise! Login or click &lsquo;claim offer&rsquo; to see what you qualify for! 4th of July Meetup at Sea! - 4 Night Bahamas & Perfect Day Cruise! 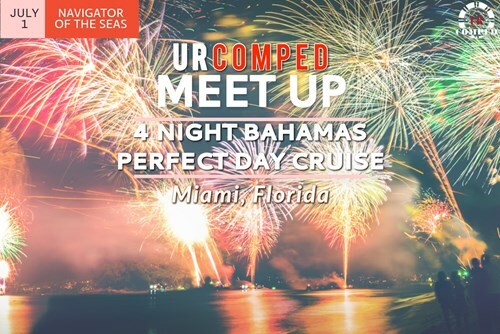 URComped Hosted 4 Night Bahamas Cruise from Miami, Florida!